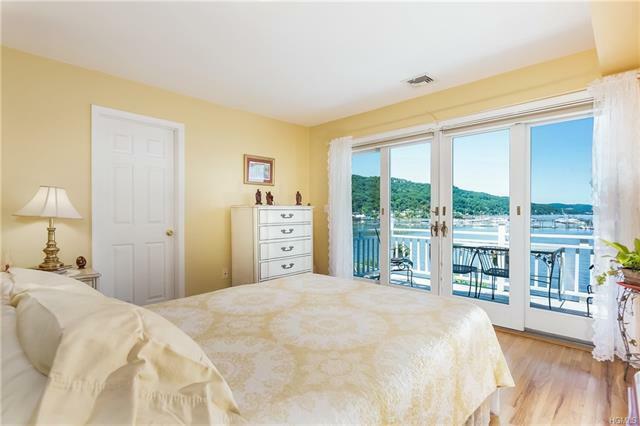 If you desire fabulous Hudson River views, and a village lifestyle, well this is it! This charming, sunlit 3 bedroom, 2.5 bathroom town home boasts river views from most rooms. Watch the boats sail by as you host your guests on the 1, 000 square foot rooftop deck with 360 degree views of TZ Bridge and Hook Mountain. Enjoy morning coffee on your north-facing garden patio off the living room. The first floor features an open kitchen/living/dining floor plan, perfect for entertaining. More spectacular views from the master suite and en-suite bath with Jacuzzi. There is plenty of storage, an attached heated garage, central vacuum, central AC, 2nd floor laundry and low HOA fees. A stone&apos;s throw to the shops, restaurants, galleries, library, pier and trails. Enjoy Village life and the landscape of the ever-changing waterfront.